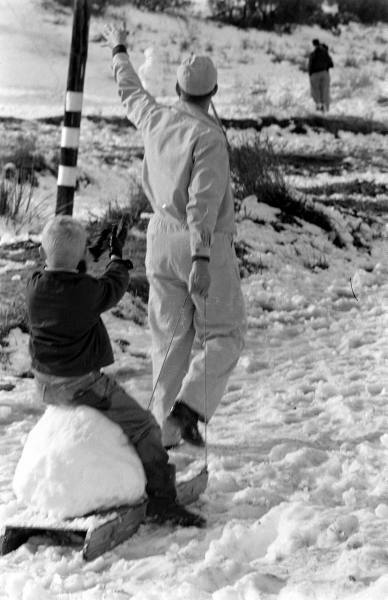 I imagine most of my readers who live in a place that gets snow (this time of year; I'm not hemispherist :P) have already had some.... though sometimes nature likes to be surprising. 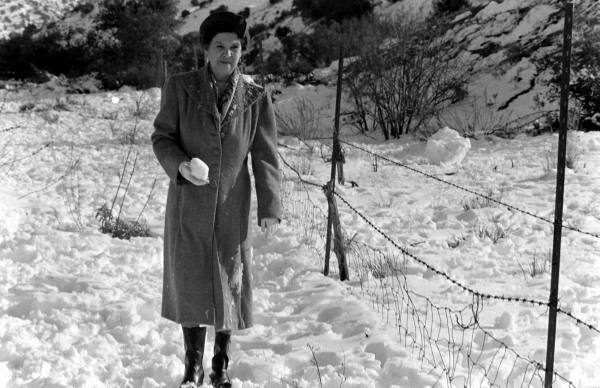 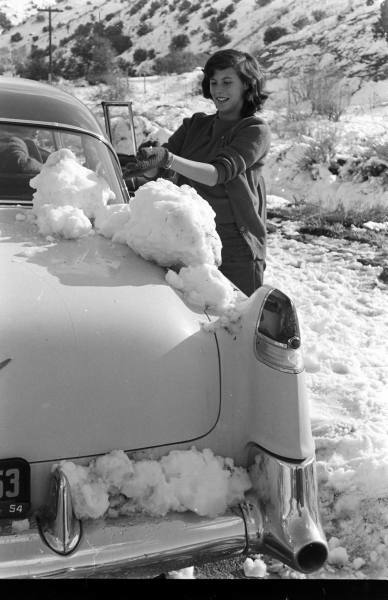 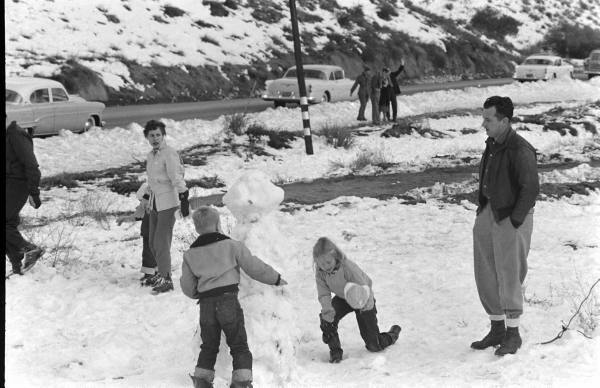 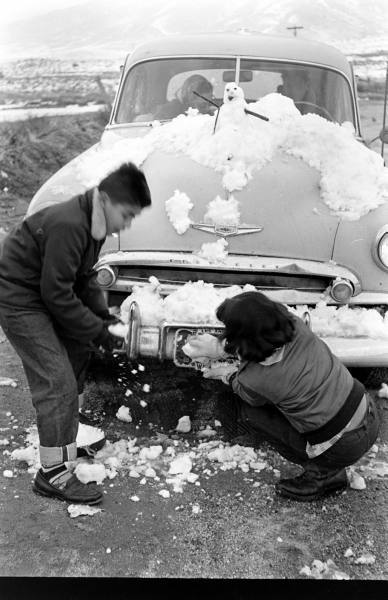 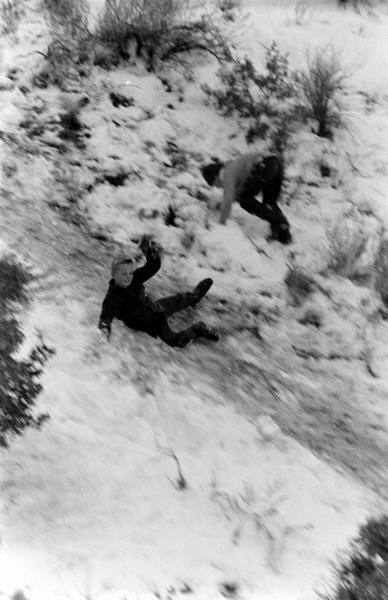 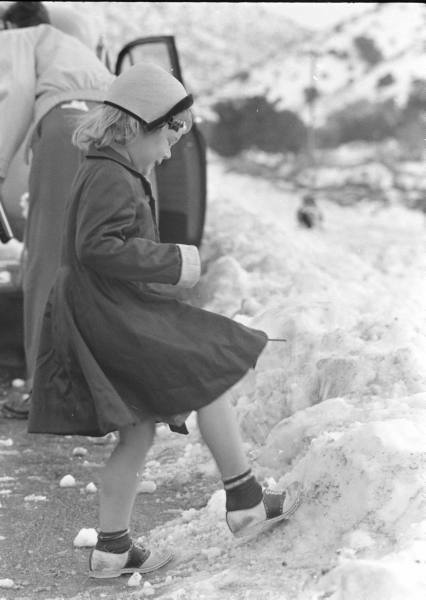 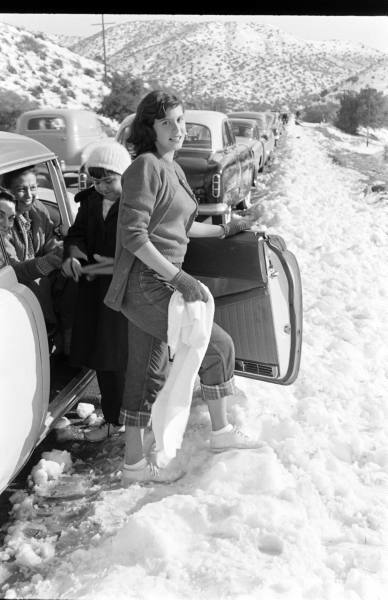 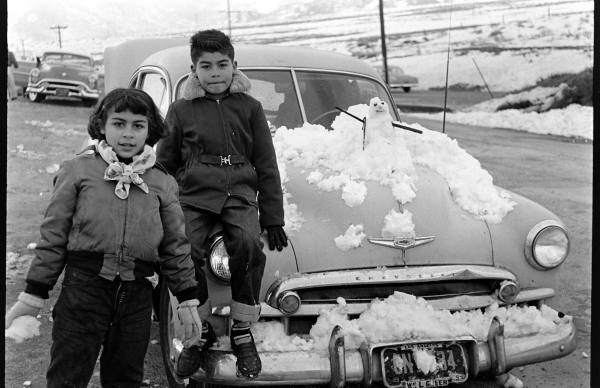 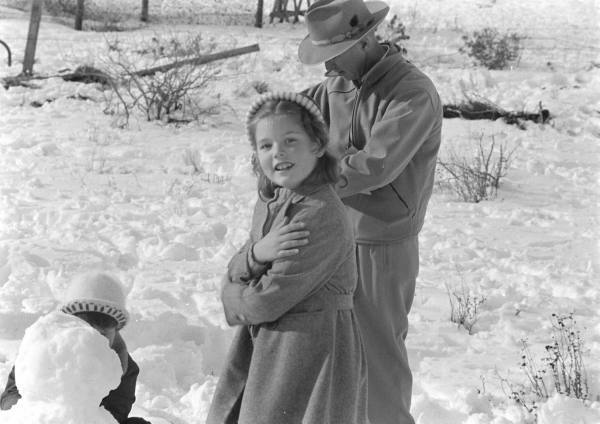 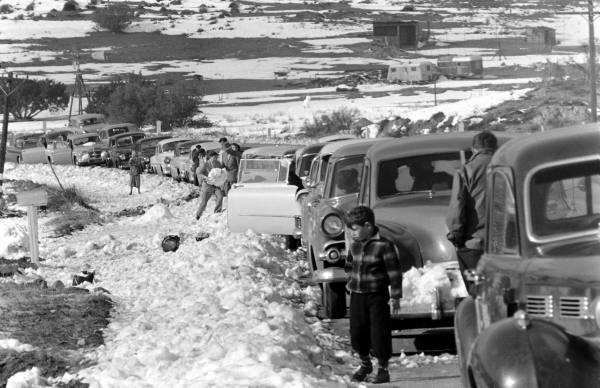 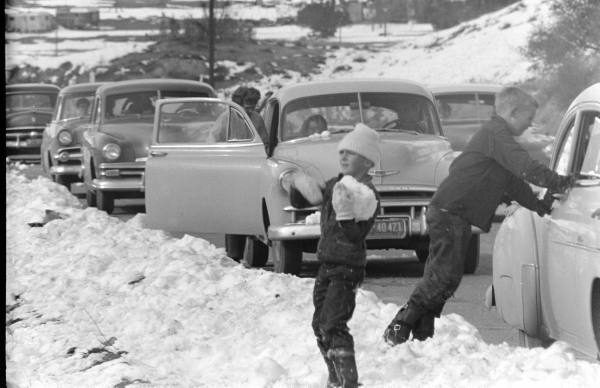 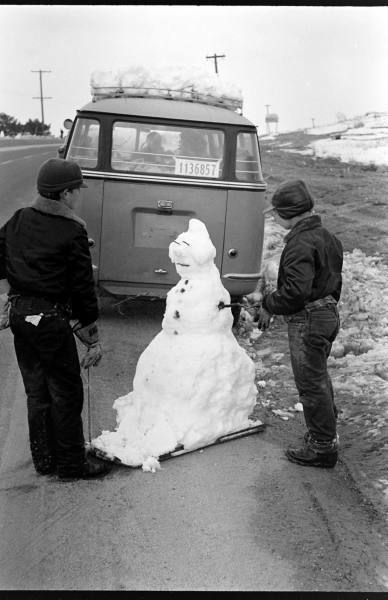 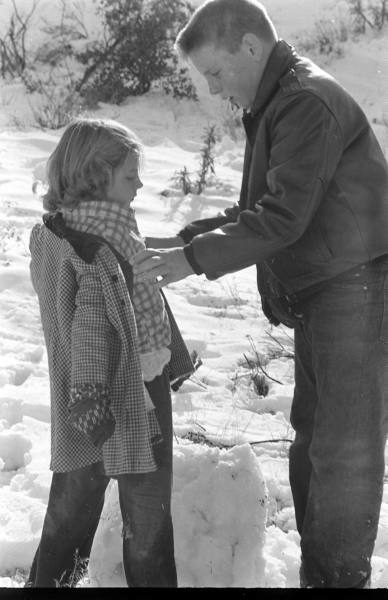 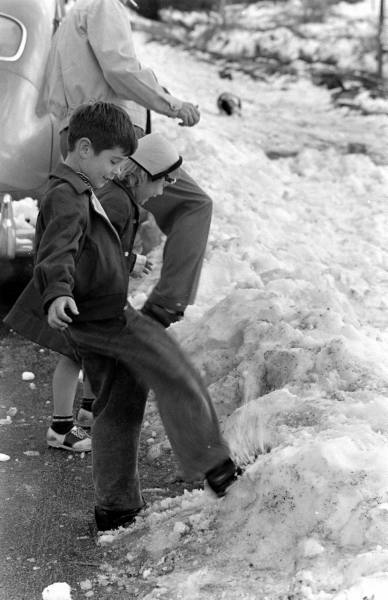 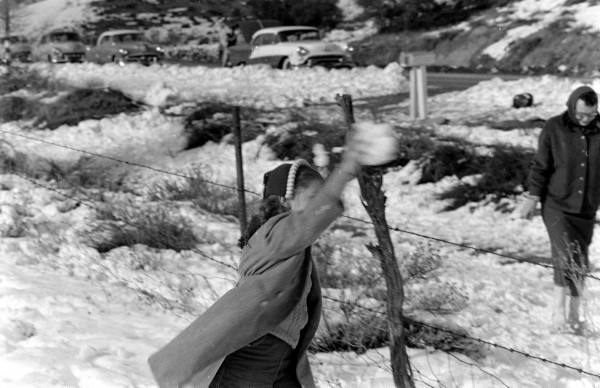 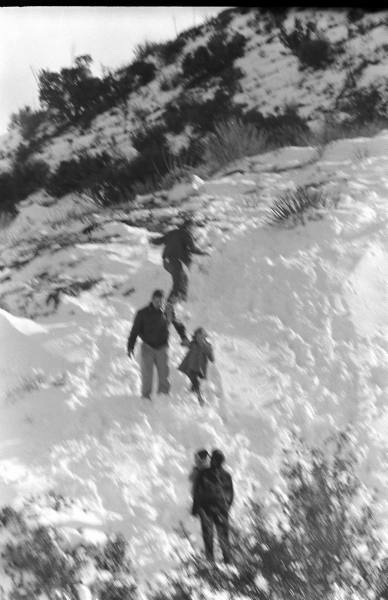 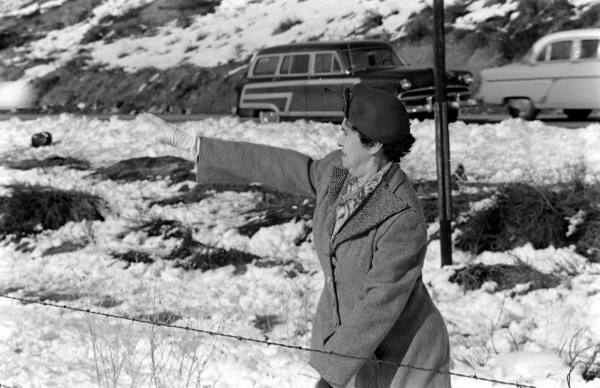 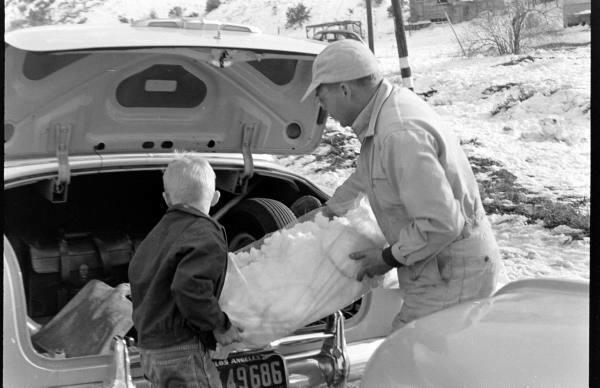 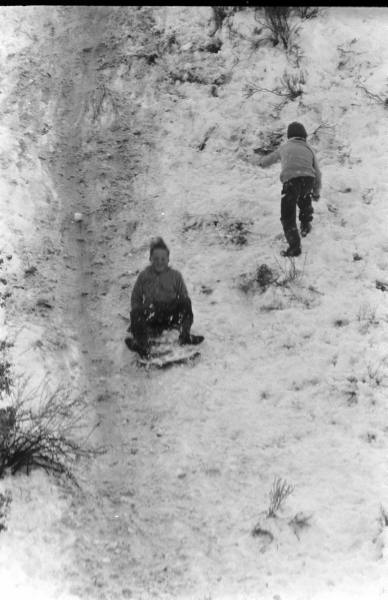 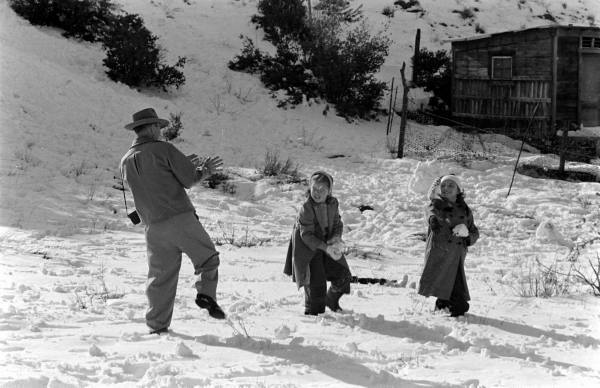 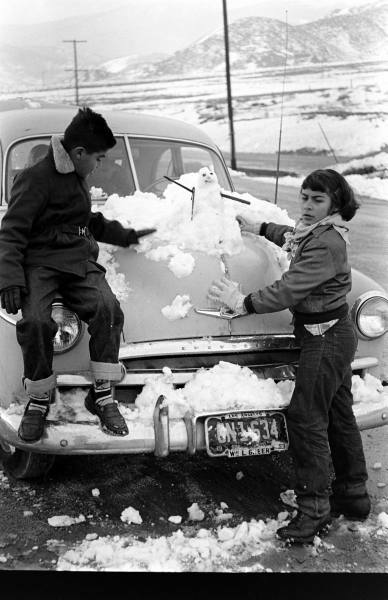 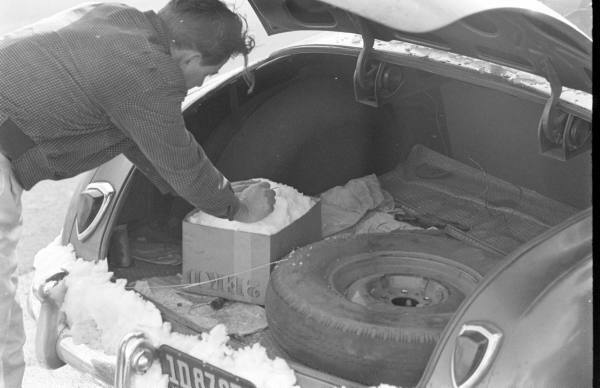 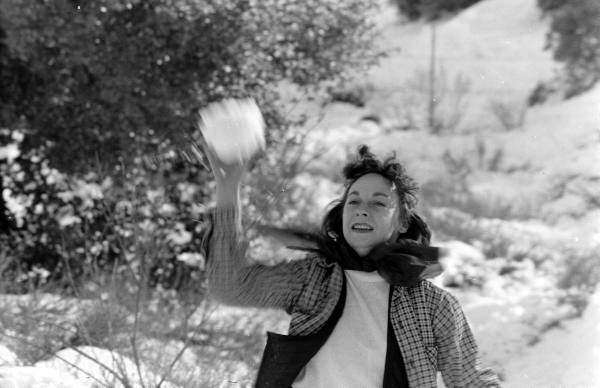 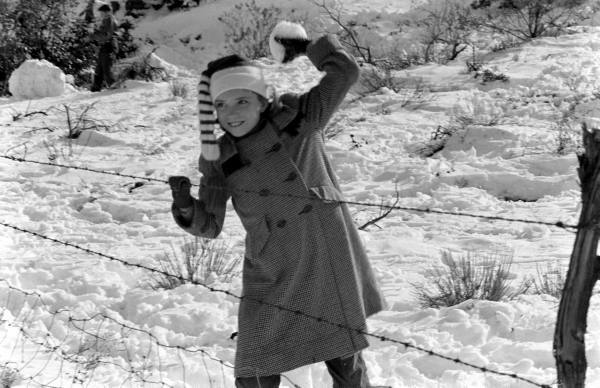 For instance, this snowfall in LA, the first time many of these people had ever seen snow at all! 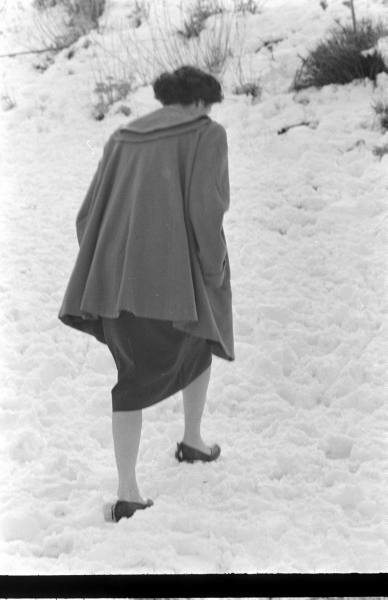 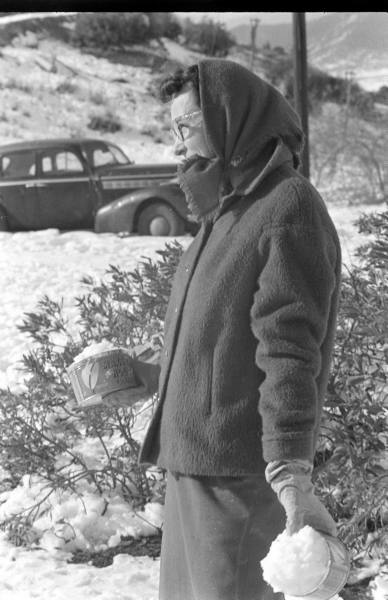 c. 1954. 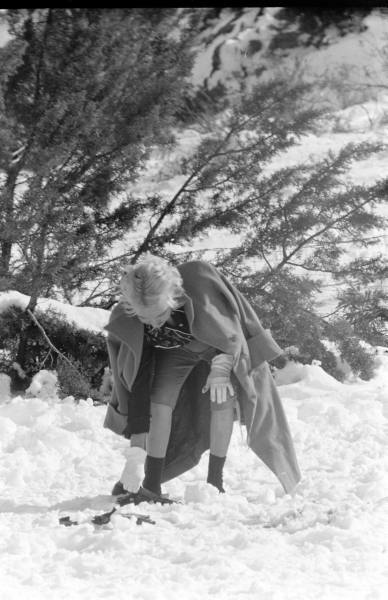 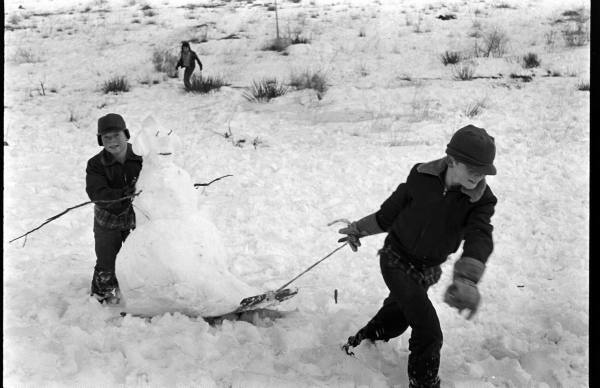 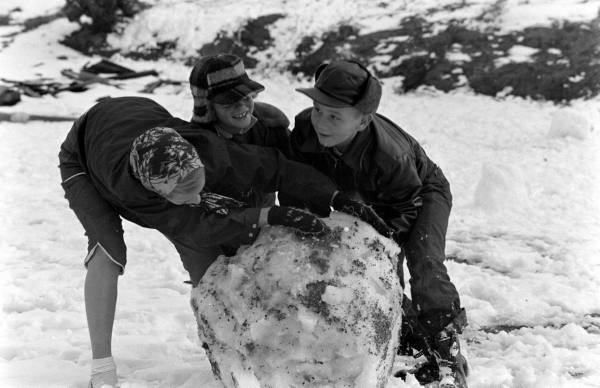 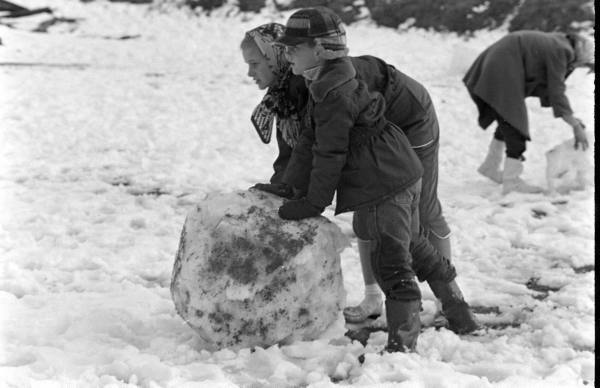 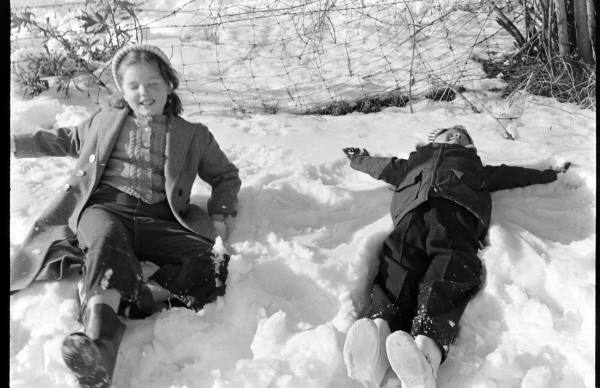 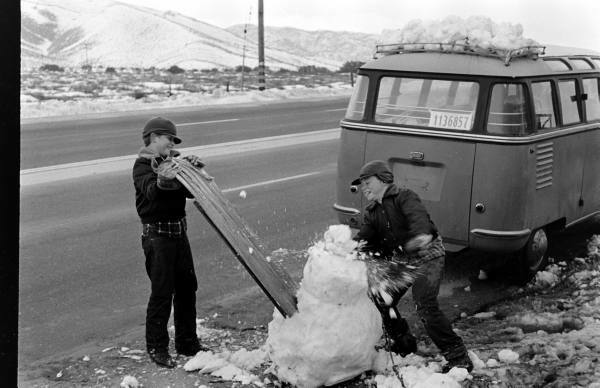 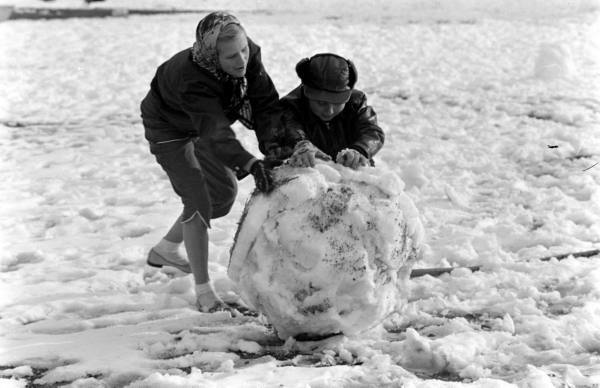 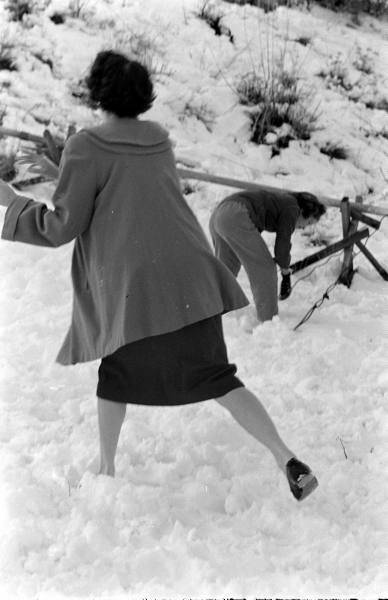 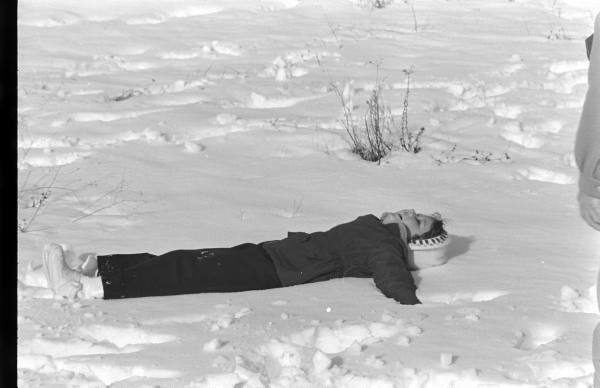 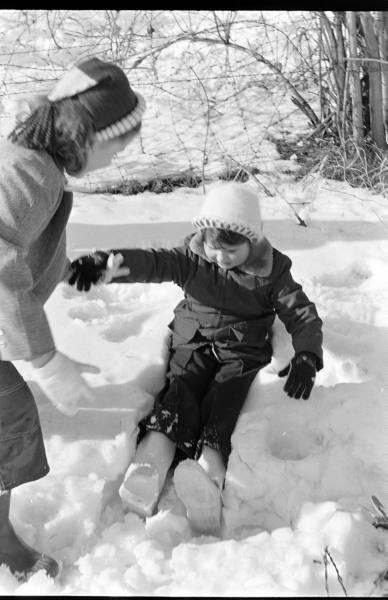 And of course, when you get unexpected snow, what else is there to do...but play? 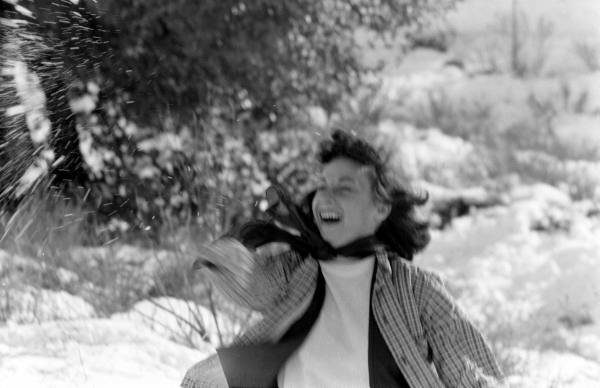 The first snowfall is always fun and special. 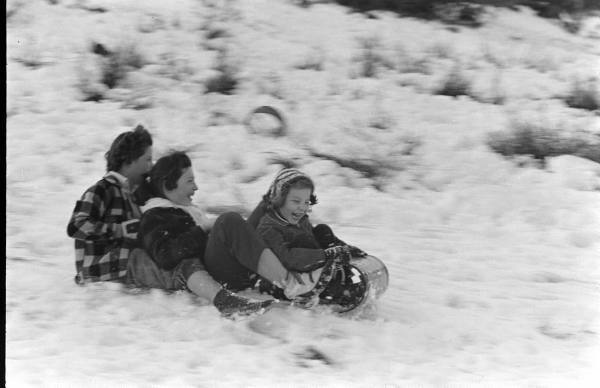 The 29th snowfall may not be quite as fun though! 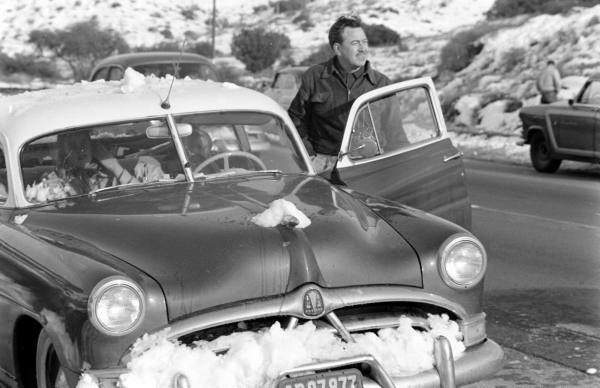 Looks like it was 1954 from looking at the corner of the license plate in the last photo.